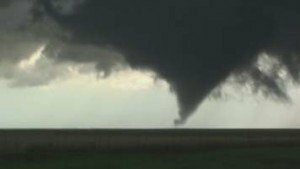 Tornadoes have devastated the Great Plains of the U.S. in the last few days. Oklahoma, Texas, Nebraska, Arkansas and Kansas have been brutally hit with these powerful events. Involve your students in a better understanding of the ranking and severity of tornadoes with this investigation. Students learn about the Enhanced Fujita Scale (EF scale) and the usual locations and time of year when tornadoes are most likely to occur. They can begin to appreciate and analyze some of the incredible data that is kept by the National Oceanic and Atmospheric Administration (NOAA) and understand more completely what is going on around our country and in the news at this time of the year. For members we have an editable Word document and solutions.